Jet Airways has posted losses in eight of the past 10 years and its share of the domestic passenger market has fallen to about 15.5% in 2018 from 22.5% in 2015. About 60%, or more than $600 mn, has been wiped off Jet's market value over the past year. The idea was to shore up confidence in one of India's biggest brands, squeezed by low fares and high costs. But some lessors quickly lost patience as the bank did not provide details and Jet's founder angrily defied them to take backplanes. At one point, the airline's usually jovial founder and chairman, Naresh Goyal, banged his fist on a table, jarring some of the lessors who had flown to Mumbai from Dublin, Singapore and Dubai, said one person who attended the discussions. "That meeting went horribly wrong," recalled the executive from a global leasing firm, who did not want to identify because the meeting was not public. Naresh Goyal's emotional outburst and Jet's subsequent failure to pay up as promised may have pushed the relationship between the airline and its lessors to a breaking point, two other executives who were at the meeting said, prompting some to take the drastic step of pulling their planes from its fleet. Jet did not respond to multiple requests for comment but has said it is "actively engaged" with all its lessors. Naresh Goyal did not respond to requests for comment. The 26-year-old airline has posted losses in eight of the past 10 years and its share of the domestic passenger market has fallen to about 15.5 percent in 2018 from 22.5 percent in 2015. About 60 percent, or more than $600 million, has been wiped off Jet's market value over the past year. Now, with the airline's running out of ways to make money, state-run banks, led by SBI, took a temporary stake in Jet, promised a new loan of 15 billion rupees ($216 million) and forced 69-year-old Naresh Goyal to resign as chairman. On Monday, Jet's lenders laid out terms for potential bidders to buy up to 75 per cent stake in the carrier. Expressions of interest are due on Wednesday (April 10), with final bids due on April 30. 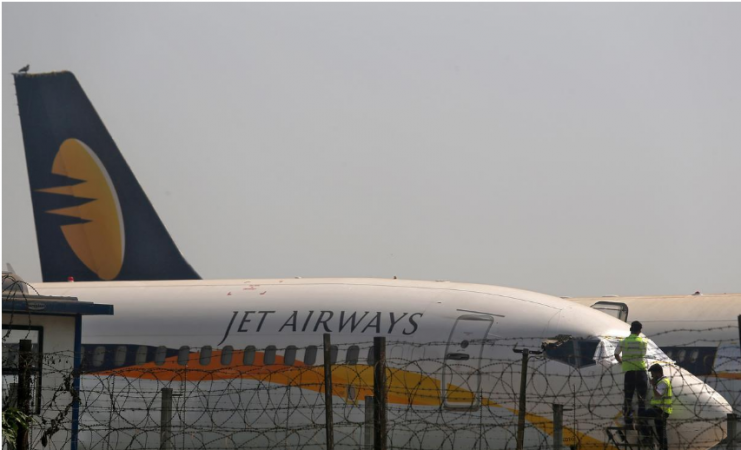 "Despite Naresh Goyal's departure from Jet, lessors don't seem to think the carrier can be rescued, judging by the urgency in repossessing aircraft," said Shukor Yusof, the head of an aviation consultancy Endau Analytics. When Naresh Goyal and his wife, Anita, started Jet in 1993, state-run Air India was the only formidable opponent, and the country's aviation market was just taking off. Naresh Goyal, however, said in a statement last week after stepping down that the airline will "regain its rightful place in the company of global greats". Goyal's penchant for control, which helped him build the airline, has been a stumbling block for potential investors. Tata Sons were in talks with Jet in November for a deal that never materialised, sources have said.